Night sailing exercise during the exam with the RYA Yachtmaster examiner standing on aft deck watching and not saying much when the student is backing out of Cowes, Isle of White in The Solent. 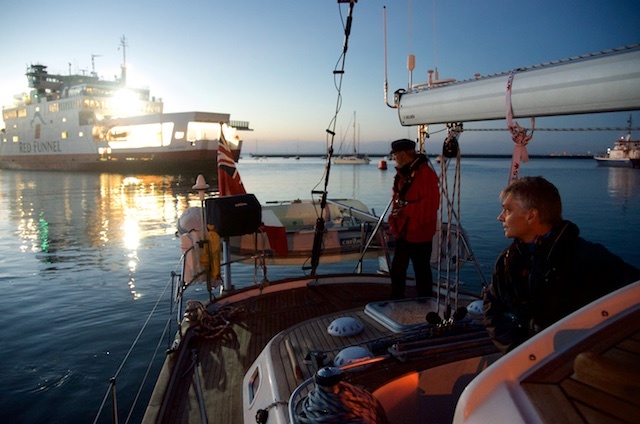 We will repeat the successful concept and, for the sixth year in a row, offer a two-weeks Yachtmaster Prep Course. All participants will have gone the theory course on Malta before and will therefore be well prepared in all the theoretical subjects. We can thus concentrate on the practical side of seamanship and manoeuvres. 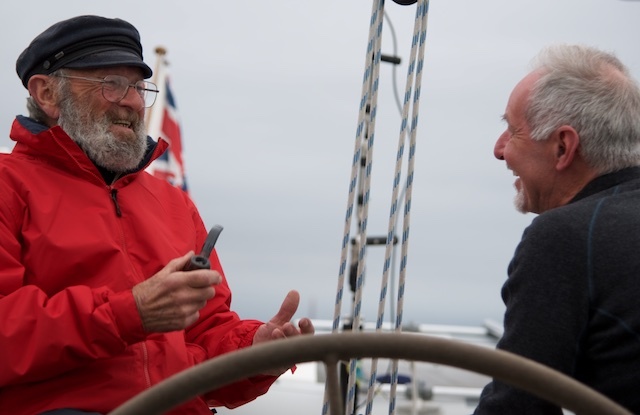 Please read here for how the Yachtmaster Prep Course has been in previous years. Before you join for the exam, you need to have a recent first-aid certificate and have a valid VHF license comprising DSC. Contrary to other Yachtmaster Prep courses, we will have almost two weeks of practicing theory and manoevers. Later on, depending on your miles (especially tidal miles) and your experience, you may choose to be examined to become a Yachtmaster Coastal or to opt for the Yachtmaster Offshore. If you are not sure which level you wish to target, we can jointly decide during the two weeks, which of the two exams is more suitable for you. See here for the Hall of Yachtmasters. Price: EUR 3,950 per person including all food consumed onboard, harbour fees, diesel etc. plus visits to restaurants and pubs. Examination fee will be paid directly to the RYA, in 2018 it was GBP 215. During the exam: There is always a relaxed, yet professional, atmosphere during the exam. It’s seamanship we are after, not a stiff ticking of boxes.